Belmont alumna Megan Beaven never dreamed she’d be operating her own business when she graduated from Belmont in 2015–but now, just years later, she’s working for herself and making ‘no baked’ treats for the whole city. Owner of No Baked Cookie Dough, Beaven said she started her career in the music industry, but after a short stint there, she was eager to get outside the walls of her building. “I didn’t enjoy sitting behind a computer for eight hours a day,” Beaven said. “I had already been making edible cookie dough for myself and began to realize that people loved it as much as I did. I just went from there!” Soon after working on the concept in her free time and realizing its potential, Beaven left her job, launched “No Baked” and hasn’t looked back. Since then, the venture has exploded across the city. “It has been the most amazing couple of months,” she said. 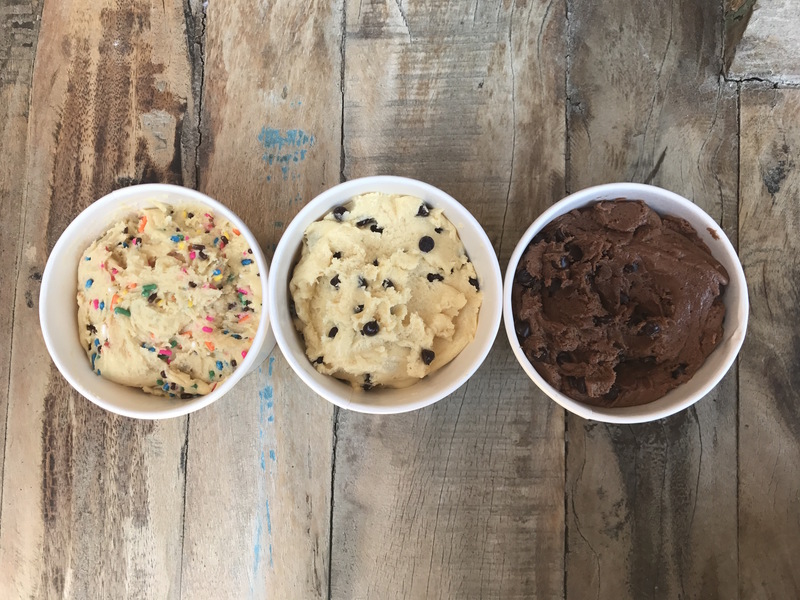 “The online store evolved into pop-up shows, and Nashville has loved our cookie dough!” Beaven is currently working to open a storefront in the Midtown area this fall.